Last week, the QSAC (Quality Standard Assurance Committee) for Lyme disease met for the second and final meeting on the quality statements that will be provided for doctors, nurses, and other clinical staff when dealing with Lyme disease. A “quality standard” contains brief action-focused statements about a specific patient experience during their evaluation, diagnosis or treatment. For any given condition, the aim is to produce around four or five quality statements. Their purpose is to describe how doctors, nurses and other Health Service staff should provide high quality care for patients in specific situations. the quality of life for people with Lyme disease. patient experience of people with Lyme disease in primary, secondary and tertiary care services. Following a public consultation period on the draft statements created following the initial meeting in December 2018, the committee – which includes Caudwell LymeCo’s CEO Veronica Hughes – discussed feedback comments from the public and from the clinical sector. It allowed them to define the following final four statements, which indicate what each patient should expect to encounter as part of their treatment and diagnosis, and which aim to achieve the outcomes listed above. 1. Erythema Migrans – People presenting with erythema migrans are diagnosed with Lyme disease by clinical assessment along, without laboratory testing. This means that those with the characteristic rash from Lyme disease should be diagnosed on the rash alone, as this symptom is a better indicator than the current NHS diagnostic test, which is not 100% reliable. 2. Repeat ELISA tests – People in whom there is a continuing suspicion of Lyme disease, who do not have an erythema migrans rash, and who had an initial negative ELISA test, should be tested again 4 to 6 weeks later. This statement was reworded after receiving comments from the consultation, and discussion among the committee, to ensure that the rationale covered as many scenarios as possible. 3. Antibiotic treatment – People with Lyme disease have antibiotic treatment, with the choice of antibiotic, dosage and duration determined by their symptoms and clinical presentation. This quality standard indicates that all patients diagnosed with Lyme should have access to antibiotic treatment. 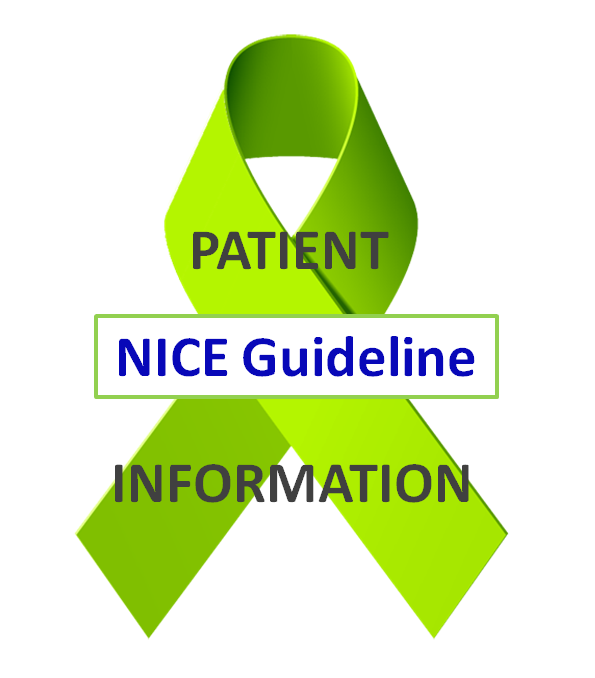 Information on the type, dosage and duration can be found in the NICE Guideline. 4 . Awareness of Lyme disease – Local authorities organise health promotion activities to raise public awareness about how to prevent Lyme disease. As the old saying goes, prevention is better than the cure, and with local authorities in a good position to work with other local stakeholders, such as NHS organisations, it was felt that expanding awareness via relevant groups would be important. It was recognised by members that both national and local involvement was needed for raising awareness, and that competing public health issues would make funding a campaign tricky. But it was still felt that the statement should be made. The latest version of the draft quality standard will be opened up to comment again in April before the final version is published in July 2019. This is to ensure that the quality standard is as clear and useful as possible. We will keep you updated on the further developments of the quality standard as it continues to progress. We hope that these quality statements, along with the NICE Guideline, go some way towards improving the approach of clinicians in diagnosis and treatment of Lyme disease. In the meantime, we continue to work towards funding research that will find a truly accurate test and an effective treatment for all, so that these statements have less of a need to exist. The EM statement is useless if doctors cannot recognise an EM rash; and no-one is doing anything about it. The NICE Guideline and quality standards for Lyme did not previously exist, so the fact that doctors will now have these to refer to should help them in identifying the rash. This does rely on them considering Lyme as a cause in the first place, but the EM rash is quite distinctive, and the onus does have to be on the GP and their medical knowledge to some extent. To help with this point, the guideline contains photographic resources, and there’s RCGP online training course to help doctors learn about recognising rashes in general. The quality standard also refers to an awareness campaign that would also improve knowledge among clinicians. The statement that refers to the EM rash hopes to encourages GPs to use the resources mentioned above, to identify the cause.